I love Ryo, And I know I’l get alot of Peved comments but I was kinda hoping for Miku or Segata Sanshiro. Glad to see him return regardless. Yay Ryo Hazuki finally all the time! Then also I played Sonic Lost World on Wii U demo at last was pretty good at Target and second new Wii U game demo I played is Mario & Sonic At The Sushi Olympic Winter Game 2014 was choosing event Alpine Skiing downhill guess what place I am in fourth place but what’s okay it was to play it. At last… At last. 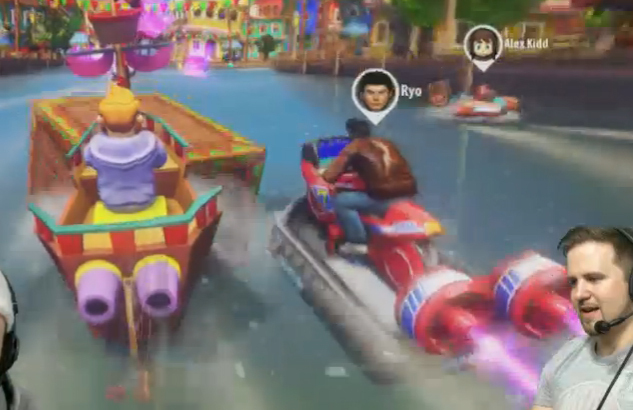 😀 Granted, I have never played Shenmue.. but man.. they finally gave the fans the DLC they asked for. 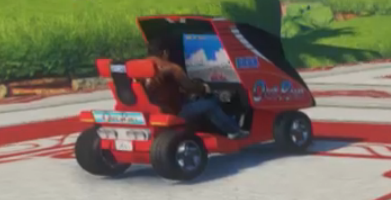 And… it seems he is rockin’ an OutRun arcade machine as a vehicle. The awesomeness. I wouldnt say a landslide. He beat Miku by like 200 votes. Which is genuinely shocking to be honest. Lol. Im really looking forward to some Level Dlc or something. More courses would be more important to me. Now if only Segata Sashiro would claim his glorious throne among the racers, my life would be complete. This better come to consoles. It really isn’t that simple to release DLC on the consoles, considering patches and updates need to be paid for. Updating on PC is less work and free. It’s the exact same situation with Skullgirls. A game with a heavy community and needs constant update in terms of tweaking the balance, and even the smallest change still needs to be covered for, which made the developers ultimately drop the console version support. 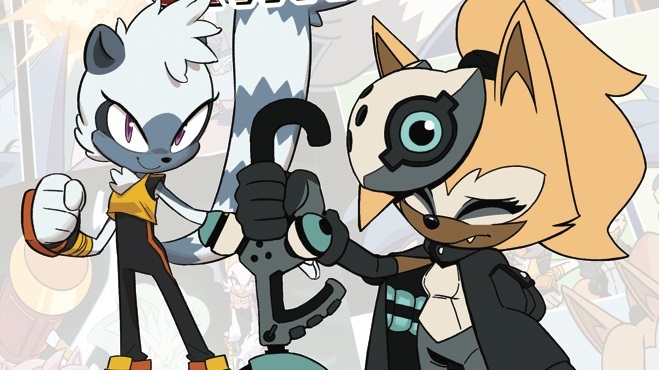 Wonder who the other characters of that DLC batch will be, if there is another Sonic character to be featured in the game I hope is Blaze. I gave them the idea to make his vehicle a transforming arcade cabinet. I posted this on the Sega forums over a year ago, and also talked about it with one of the devs. 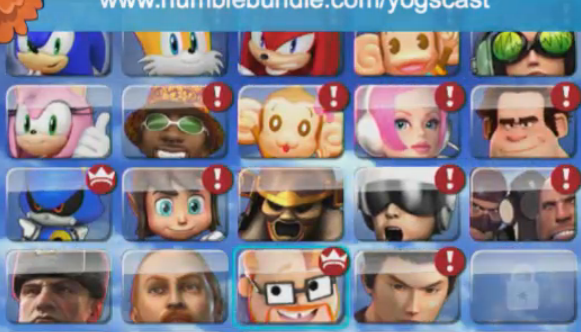 So it all but confirms that his air mode will be a Space Harrier cabinet. I have no real attatchment to Ryo or Shenmue but the less I see of Miku, the better.